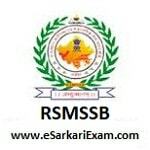 Eligible Candidates can Download Informatics Assistant Response Sheet at the Official Website of RSMSSB. Open News & Notification Link at Home Page. Click on Typing Test Response Sheet for Informatics Assistant Exam 2018 Link. Download and Check Response Sheet.